Well done Peter! If you were to compile these stories into a book, you can be sure I'd buy a copy. Awesome entry, Peter. 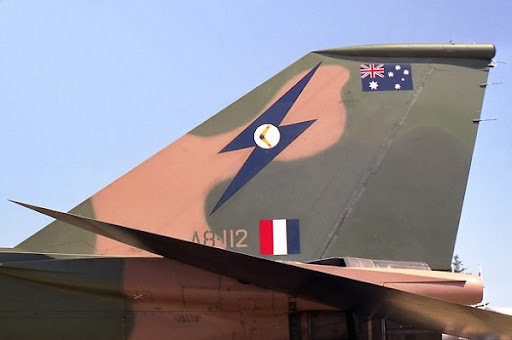 I'll miss the F111, they were a familiar sight Down Under and a beautiful aircraft to watch. 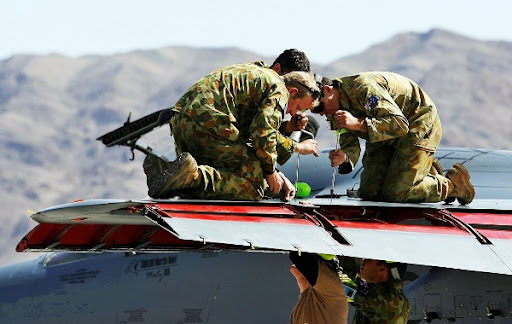 Got heaps of photos of them in my days in the RAAF. 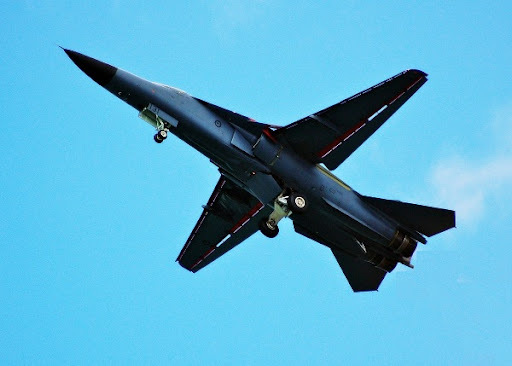 I'll never forget in 2000 when one F111 took off from Amberley Qld and went super-sonic to reach Sydney in time for an after-burner pass in the Olympics opening. It took less than 20 mins to reach us! 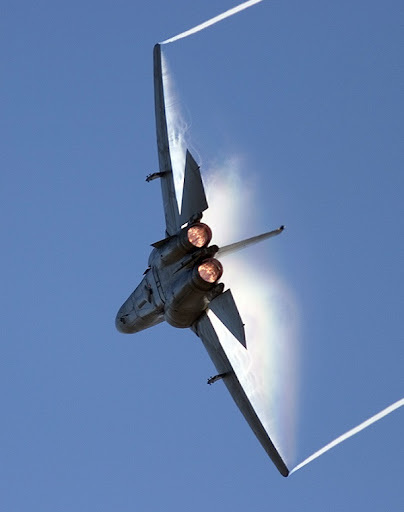 At the time I lived in the NW suburbs of Sydney directly under their flight path. We heard those superb engines slowing down, then speeding up again as they passed over us on their way to the stadium fly-by. Will never forget it. But I'll miss this wonderful plane. It was truly a landmark of aviation. Excellent post Peter! The real 'fun' with the Vark was the TFR and the ride selections :-) Excellent research and excellent links also! My family moved to Fort Worth in mid-1992. 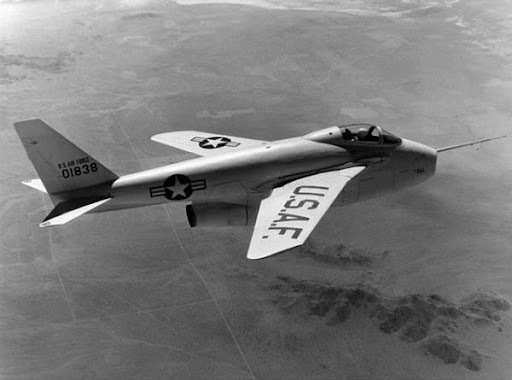 Big news was the then-pending award of the TFX contract to General Dymanics, which most locals still called Convair, or even Colsolidated. This was the famous "Bomber Plant," which had been a major part of the industrial effort in WW-II, and a huge factor in the local economy. That fall, I started college at TCU and enrolled in AFROTC. 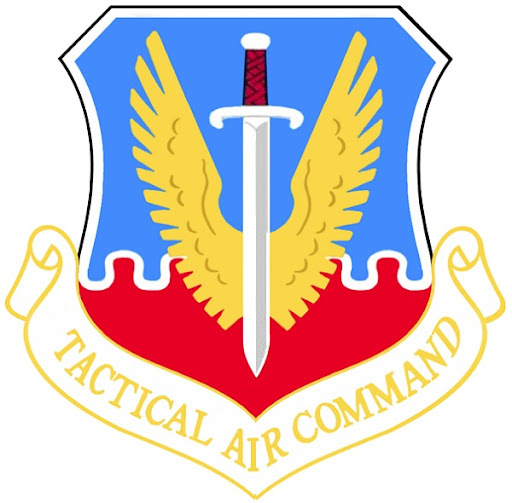 The GD plant and Carswell AFB were major benefactors to that program. During one of the initial films of the low level, terrain following program, several cadets became motion sick, sitting in the auditorium. I remained in Fort Worth until 1972. 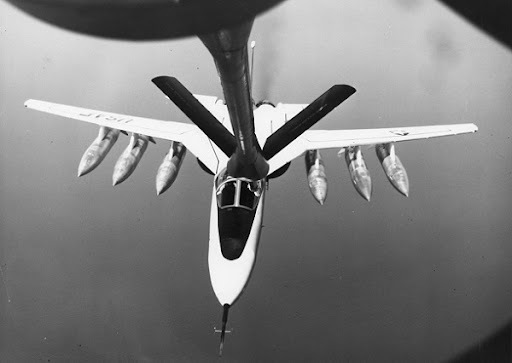 Though I never had any direct connection with the TFX/F111/FB111, your excellent article brought back many memories. Well done, Peter, and I look forward to the next installment. 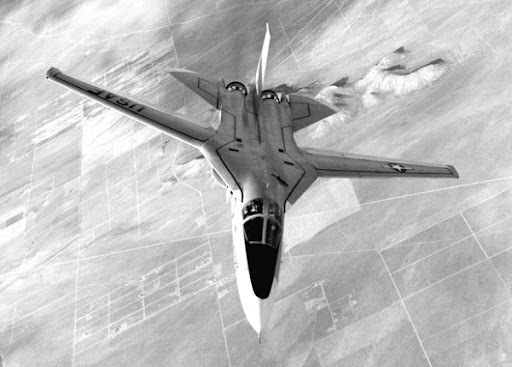 Excellent article on the F-111. I was a Munitions Officer on it in 1969-1970. 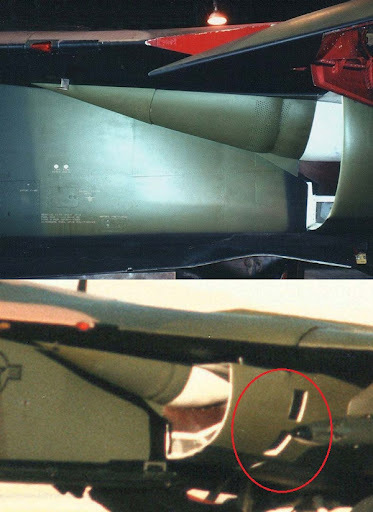 The aircraft actually has 4 vs. 3 pylon attachment points on each wing. The 2 inboard pylons swivel; the 2 outboard pylons are fixed. 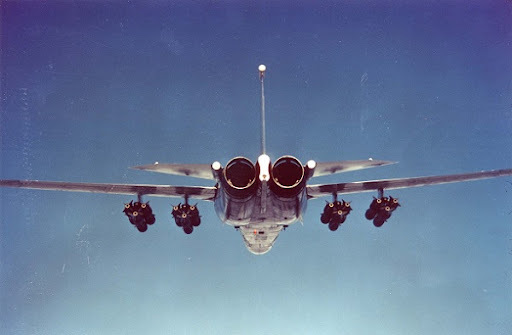 In theory you could load 48 750-pound bombs (M-117s) on the wings; and 2 in the bomb bay. 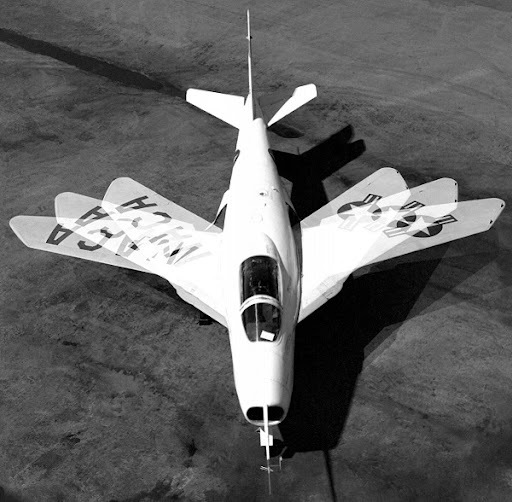 You couldn't sweep the wings in this configuration, and with the fixed pylons, the aircraft wasn't as maneuverable, or as fast. 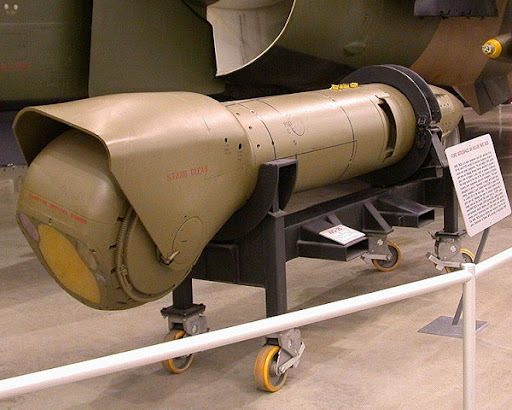 A "PS" (post script) that has been with me for many years: In school "they" told us that the F-111 had a 'gas agent' dispersal capability. I always thought what a great platform for forest firefighting in remote areas. 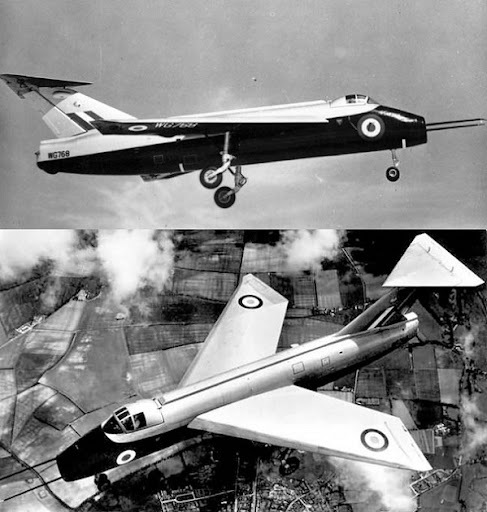 With the agent dispersal capability, coupled with TFR, the aircraft could get in to places where airliners (configured for firefighting) struggle... Of course the operating costs would have to be measured against the benefits, and "parochial thinking..."
Thanks Peter, that was an exceptional post. As a boy rowing on a coastal lagoon one overcast day, I watched in awe as a three ship formation came in over the dunes a couple of hundred feet up. Directly overhead they swept back their wings, banked 90 degrees and headed on down the coast. I've no memory of the sound, just a perfect silent video in my head of the power and beauty of flight. 20 years later I stood on the ocean cliffs of Sydney and watched a pair fly past below me, avoiding controlled airspace by flying below ground level. Although often called the Pig in Australian Service from this civilan observers viewpoint they were anything but. 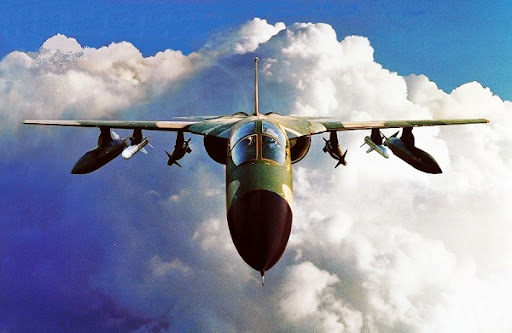 Thanks Peter, great article with lots facts to help soften the bad rap the F-111 received. 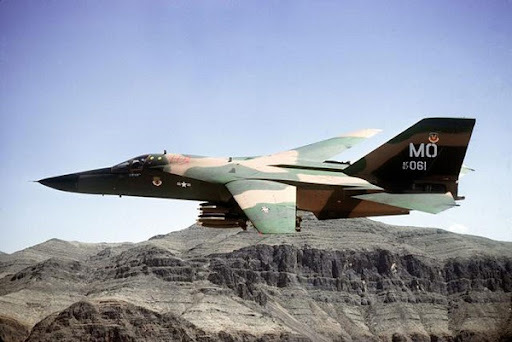 I worked on F-111s most all of my USAF career from 1967 to 1990. One point, about the Vulcan Canon, during Combat Lancer operations in 1968 the gun was operational and armed for combat missions but to the best of my knowledge it was never fired. After combat operations in 1968 I believe the gun was deactivated but retained for weight and ballast. 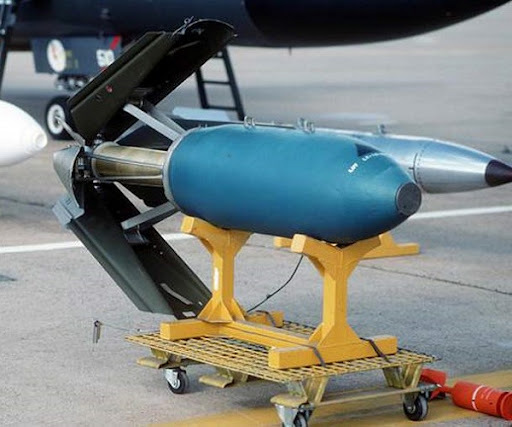 Also, during this time our aircraft carried an AIM-9 missile in the weapons bay on a trapeze that could be extended below the bay enclosure for firing, but again to my knowledge it was never fired and soon the trapeze was removed from all aircraft. I'm looking forward to seeing the next article. Keep up the fine work. I think you're wrong on the pivot points. 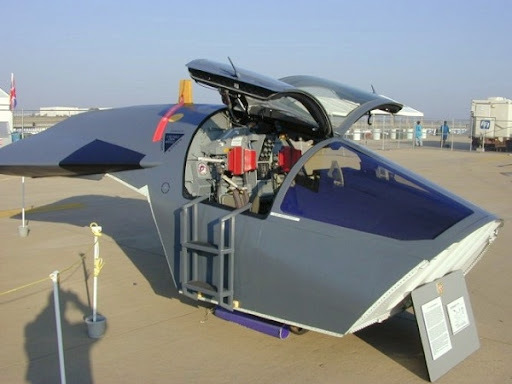 The X-5, as can be seen on the pic you provided, moved the pivot points forward as the wings were swept, and vice-versa. This kept the C. of L. in nearly the same place, but made the system either heavy or weak (pick one). The big discovery, as I recall reading at the time, was that you could have a fixed pivot and it would work OK if sufficiently outboard. awsome post, I remember the strike on tripoli back in the 80's where this bird did all the leg work. You quite right, Alan: it wasn't the fuel, it was the tank "blister" maintenance chemicals. There is a lot more on that subject. 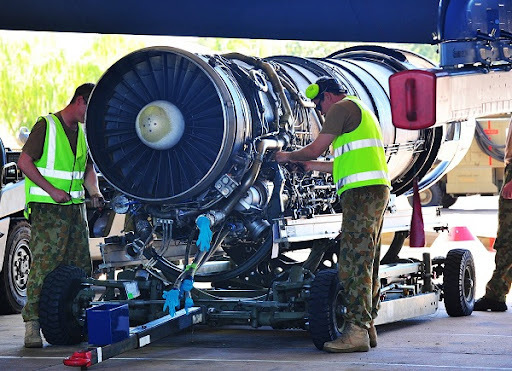 The government has recently opened a special grant for the maintenance crews. Yet another great write-up, BRM. 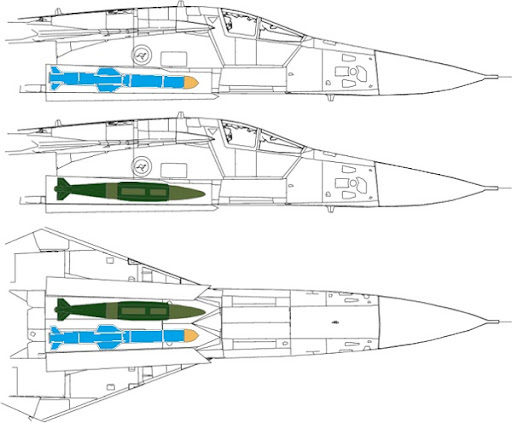 I know the XB70 never made it into production, but wasn't it a little faster than the F-111? 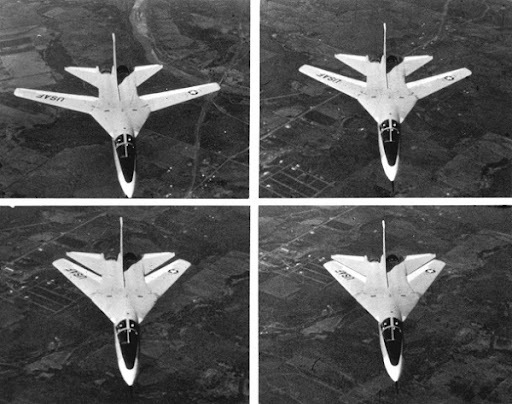 Yes, the XB-70 was faster - as fast as the SR-71 - but, as you point out, it never entered production, so I don't count it as a 'service' aircraft, merely a very interesting experiment in what might have been. Great Blog!! 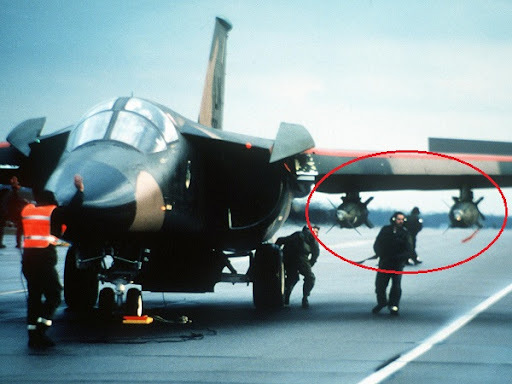 The reason I'm writing is I'm looking for info on a collision between an F-111F 70-2384 and a KC-135E 59-1484 during the first few days of Desert Storm. The tanker was from the PA ANG. I was based at Jeddah, Saudi Arabia and saw the damaged tanker when it returned. 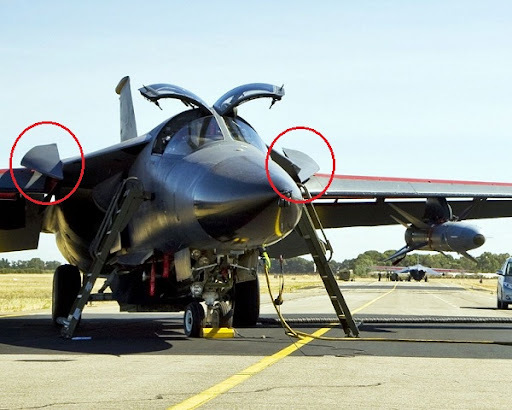 The F-111F returned to its home base (Taif, I think) with a damaged right wing tip. 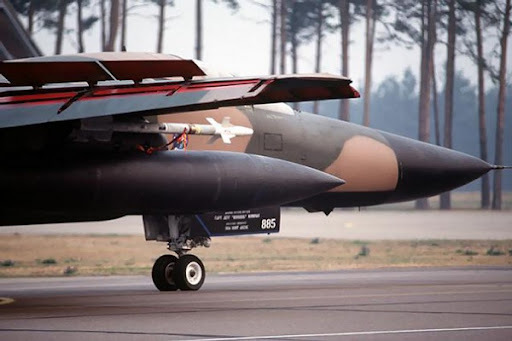 Do you or any fellow F-111F enthusiasts know any more about this incident? Thank you! I don't know whether the incident reported there is the one to which you refer. Yes, I've seen that site, which doesn't say much. This incident really did happen. There are two unofficial versions: (1) It was a night refueling of two receiver a/c and the a/c pilot on the port position became disoriented and drifted into the tanker; and, (2) the two receiver a/c decided to depart by diving under the tanker, accelerate below it, and then do an AB climbout in front of the tanker. The port a/c, however, came up too soon, thus striking the tanker. 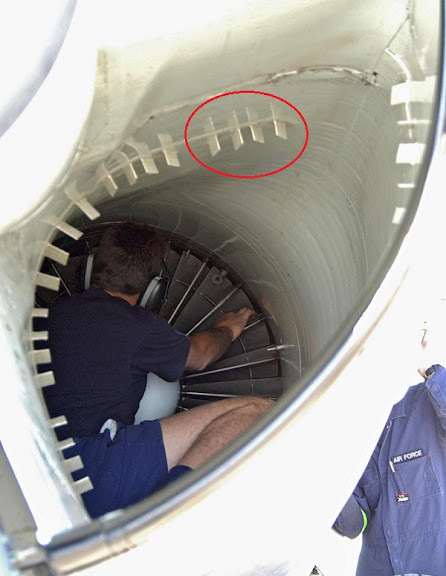 The gash in the tanker fuselage caused an instantaneous decompression, which resulted in a cargo cabin full of loose papers and debris. I saw a picture of the cabin while in Jeddah, but haven't seen it since. 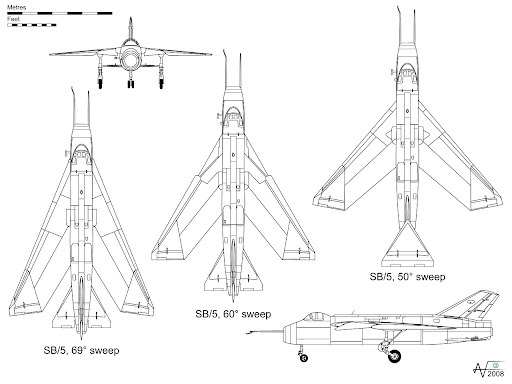 Funny thing is, the few F-111 enthusiasts I've contacted have never heard of this incudent! HHMMMMMM!!! Thanks for the site. Two years on, I still miss them.1100 hours, fifteen years of my life. Great jet, good work on the web site. Recce rules OK!!! 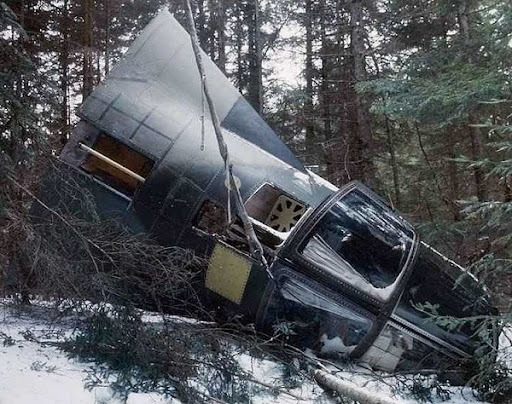 Good read Peter but you left out a little about the design and purpose of the spoilers on the wings. 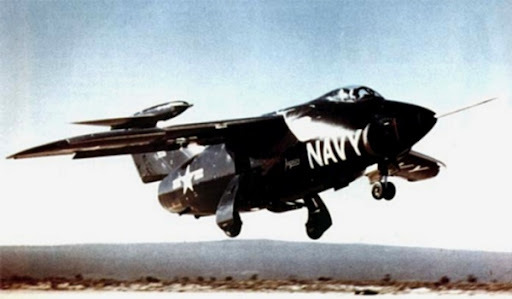 Not only did all four extend symmetrically on landing roll to destroy lift and assist in slowing the aircraft but they also extended asymmetrically when roll commands were inputted by the flight crew to decrease lift on just one wing and increase roll response. 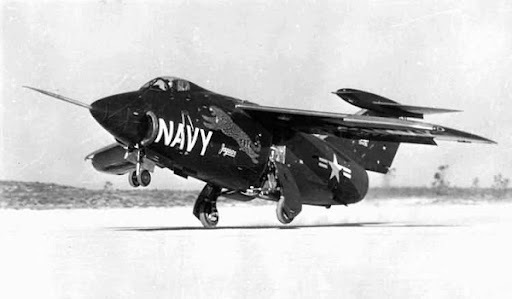 The inboard pair was locked down at 45 degrees of wing sweep and the outboards at 47 degrees. 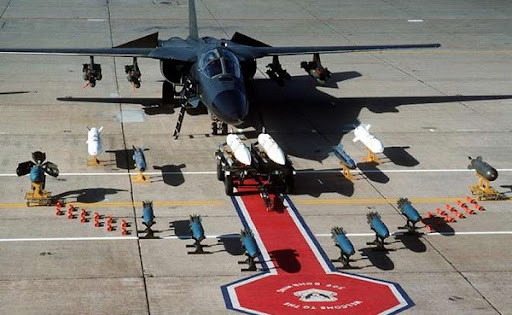 I don't know what Noons was talking about the F-111 fuel being "highly poisonous"...in the US they used standard JP-4 Jet Fuel (mostly kerosene). Perhaps he is thinking of the Hydrozene fuel used in the APU's of F-16's??? These came out when I was a kid. 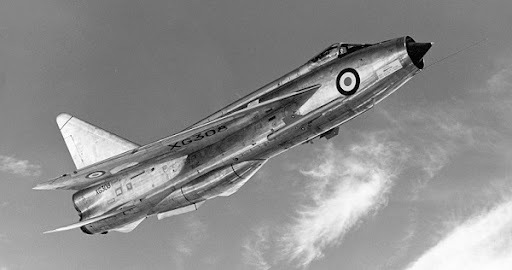 One of the most beautiful jets ever. Peter, I was an Air Force wife in the 80's-90's. 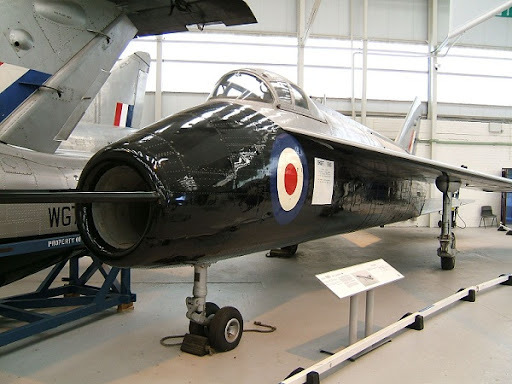 My husband was an E-F111 pilot at Mountain Home and RAF Upper Heyford. 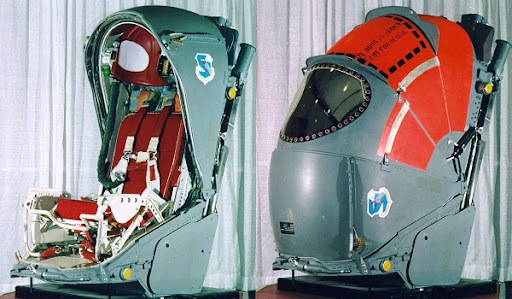 A close friend died in combat and we were told it was because of an ejection failure due to the uncompensated weight difference between the pilot and the EWO (who was very small). Because their weight wasn't distributed evenly they didn't have the benefit of the inflatable collar/cushion. What do you think? I was a tower controller at Mtn Home 80-85, damn I love the 111. Hard to work in the pattern, not a fighter but what a plane. I got 2 rides, the first was blaaa, crappy pilot and SOF. The second ride, LtC McDonald, hell of a pilot/SOF. 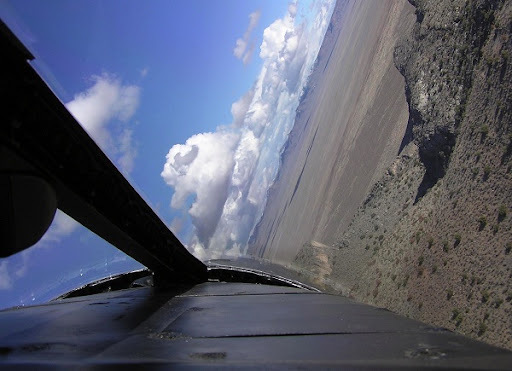 650 kts, 89 ft AGL, OMG! Nothing goes as far, as fast. I asked many a SOF, "If you had to go into the USSR will you make it to your target"? 100% said YES! 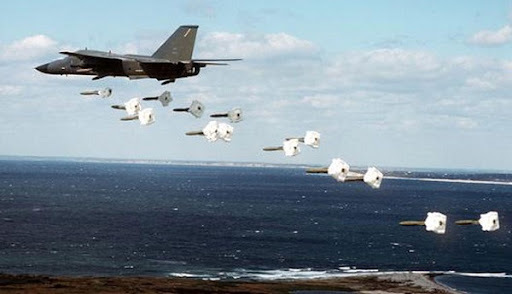 Talked to 2 Strike Eagle drivers that used to be 111 jocks, they said nothing could replace the ardvark! great analysis of one of the greatest near failures of the 1960s. I always wondered about those glove flaps which were never shown on the prototypes and made a complex flap system even more complex. 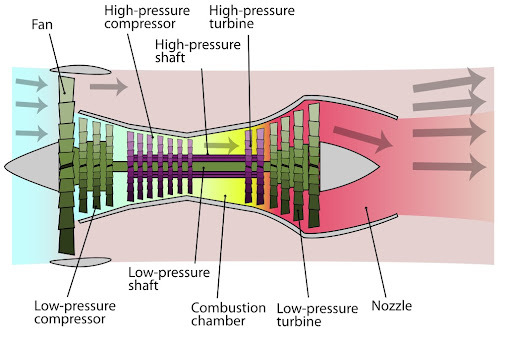 Those crazy rotating pylons, not only are the outer 2 of 4 fixed so that they aren't straight on takeoff (they are straight at the slight sweep cruise position) but of the inner 2, there is only room for one store or tank at full sweep, so the aircraft is almost never flown with stores at full sweep. 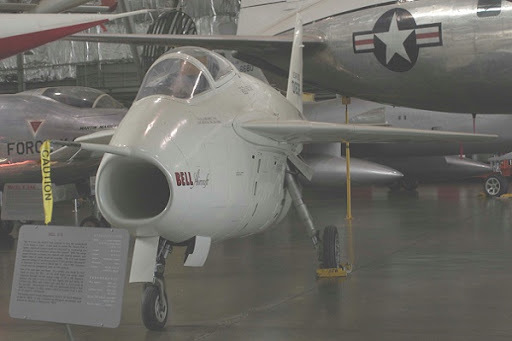 There is no room under the fuselage for real hardpoints, unlike the F-14 which separated engines enough to leave a tunnel, but suffered from control problems if one engine went out. 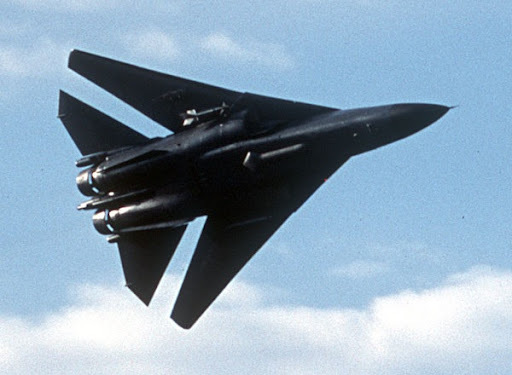 Real irony is that in effort to save money, very few F-111s were built, and the F-4 Phantom which ended up inheriting various traits of bombers, interceptors and day fighter (which was forced on the USAF by McNamara along with A7) the F-111 was supposed to replace was actually the only bird in history which actually flew with all 4 services in all missions and with most allies. 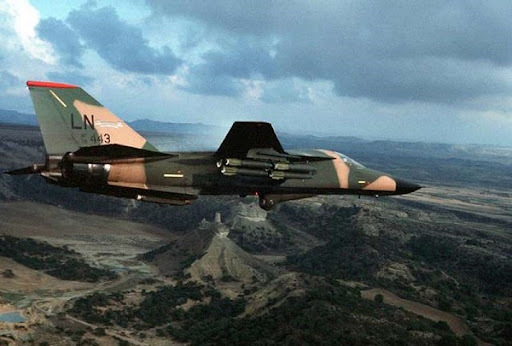 The F-111 had no versatility as the USAF version had no all-weather missile sparrow capability and the naval version had no bomb delivery capability, could no operate from short unprepared fields, and was a worse dogfighter than the F-105 which was better replaced by the F-4. 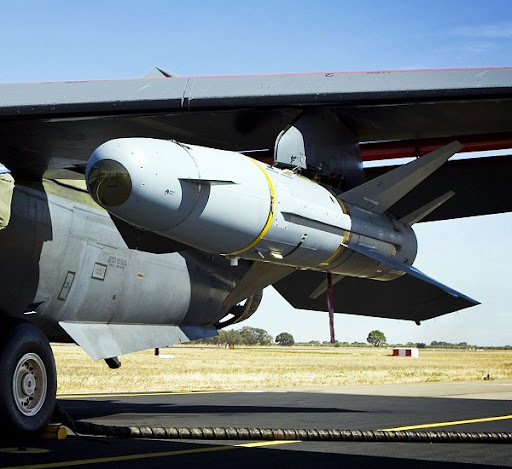 Another interesting what-if is that the UK put Spey engines in the Phantoms, and they appear to be a higher thrust alternative to the TF-30 used in F-14 and F-111. 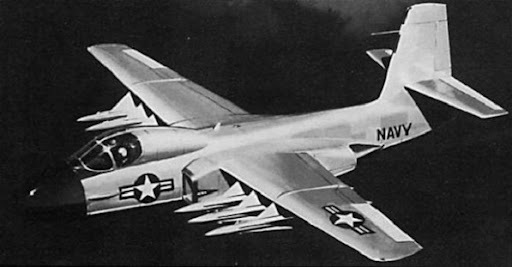 The Spey was used in advanced A-7D variant without afterburner. 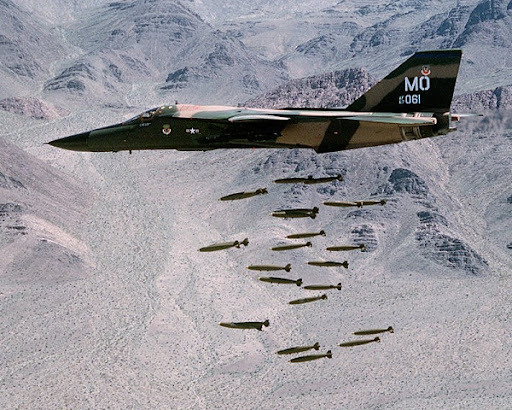 The featured F-111D capsule landed near Hope, New Mexico, on 10OCT76. The jet was on an FCF flight (functional check flight). 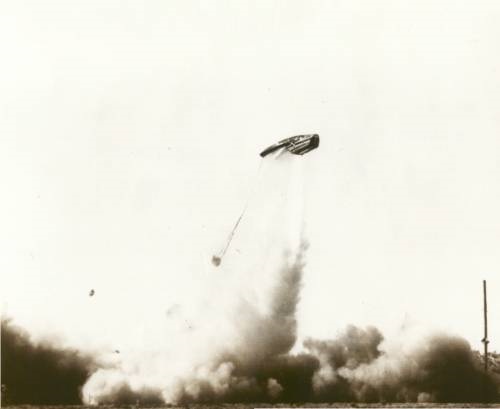 The crew ejected during the supersonic phase. The tapes froze at 1.42 Mach. The crew survived to fly another day...a little battered but no injuries. 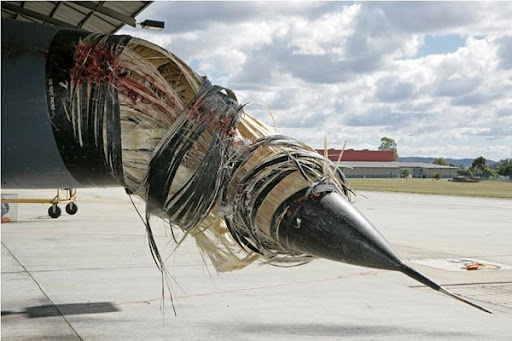 An hydraulic servo valve in the flight control system failed. 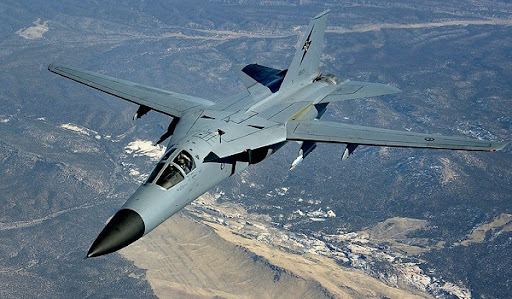 The jet entered an uncontrolled rolling dive (some geek engineer figured in excess of 60,000 FPM rate of descent) from about 45,000 feet to the ejection altitude of about 15,000 feet. There were lots of negative G's. The WSO pulled the ejection handle saving the crew. Someone figured, att that descent rate, had they waited four more seconds they would not have made it. 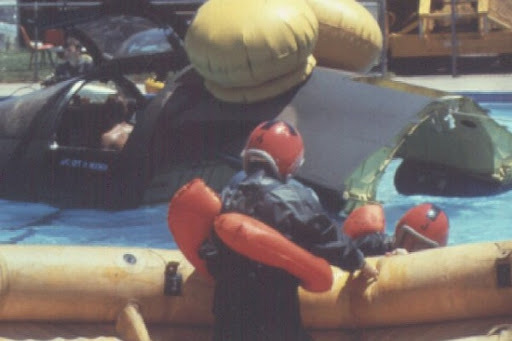 The featured capsule training photo was taken at the officers club pool at Cannon AFB.